The U.S. Senate is likely to vote on a Food Safety bill (S. 510) when it reconvenes after the election. Unfortunately, as the bill is currently written, small local farms and processing facilities will come under a sweeping new industrial regulatory standard that threatens to put many of them out of the food business. These small producers provide food for our local community through CSAs, farmers markets, local co-ops, and direct sales to consumers. Sen. Jon Tester (MT), with Sen. Kay Hagan (NC), has an amendment to exempt small, direct-marketing farms and facilities. This amendment is critical to protecting local food systems and giving consumers a choice to buy fresh local products. It would be counter-productive and deeply disturbing if a bill designed to curb the abuses of Big Agribusiness snuffs out local food businesses as an "unintended consequence." Please call your Senators to urge them to vote for the Tester-Hagan amendment. All of the well-publicized incidents of contamination in recent years – including the recent egg recall – occurred in industrialized food supply chains that span national and even international boundaries. The food safety problems in this system can and should be addressed without harming the local food systems that provide an alternative for consumers. The growing trend toward fresh, local products improves food safety by providing the opportunity for consumers to know their farmers and processors, to choose products on the basis of that relationship, and to readily trace any problems should they occur. Farmers and processors who sell directly to consumers and end users have a direct relationship with their customers that ensures quality, safety, transparency and accountability. For these farmers and processors, new federal requirements are unnecessary and would simply harm both the food producers and their consumers. Although S. 510 includes some provisions for flexibility for small and diversified producers and processors, the bill still authorizes FDA to impose new hazard analysis and risk-based preventive controls on facilities and to dictate growing and harvesting practices for produce. These requirements will impose significant expenses and burdens on individuals and small businesses. Please contact Senators Enzi (Toll free: 888-250-1879) and Barrasso (Toll free: 866-235-9553) and voice your support for the Tester/Hagan amendment for The Food Safety Bill (S.510). We need the Tester-Hagan amendment to protect our vulnerable local businesses! One of our primary concerns at EverGreen Farm is soil fertility. We feed the soil, the soil feeds the plants, the plants feed the animals, both plants and animals feed the soil and mankind, and the farmer strives to orchestrate the whole process. It is an endless interdependent cycle—a dance with nature! I have witnessed first hand the miraculous effects of compost as described in An Agricultural Testament by Sir Albert Howard. In this book Howard claims compost is the key to healthy, nutritious, and pest/disease resistant plants. I agree. 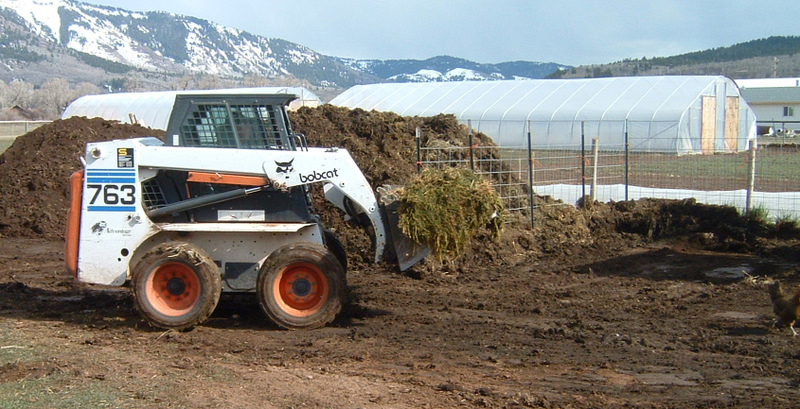 For soils of average fertility, like ours, compost made from animal manures and plant residues has quickly and substantially improved its quality and health. This is why I believe a farm without animals cannot be “organic.” By keeping goats, a few pigs, and chickens we are able to combine their waste with our vegetable leftovers to co-create with nature rich compost. Because we are only able to make a limited supply of compost, we choose to apply it where it will provide the greatest benefit, in our greenhouses. I am continually amazed at the difference in the vitality, flavor, and resistance to pests and diseases the plants in my greenhouses exhibit compared to the crops in the fields not receiving this natural fertilizer. Needless to say, we plan to increase the amount of compost we generate on our farm. 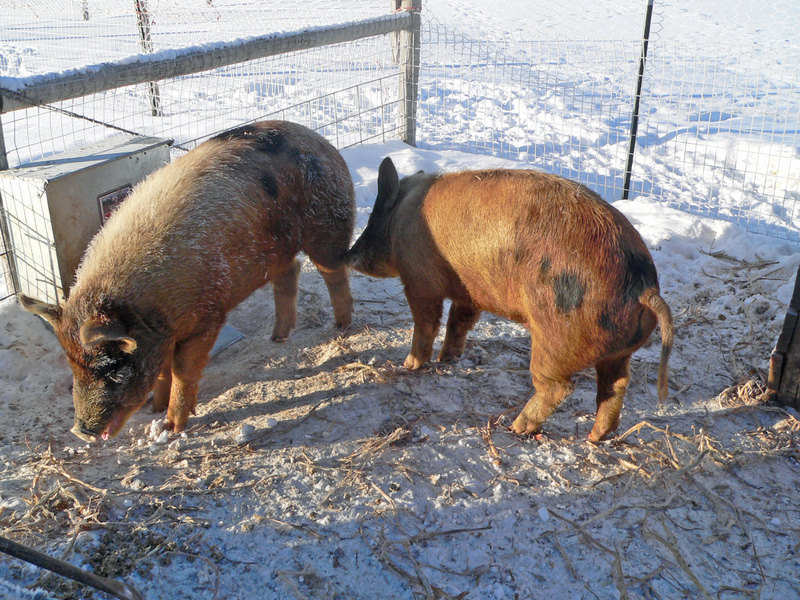 Except for our pigs, we pasture and free-range our animals in season (in Star Valley this only about six months). 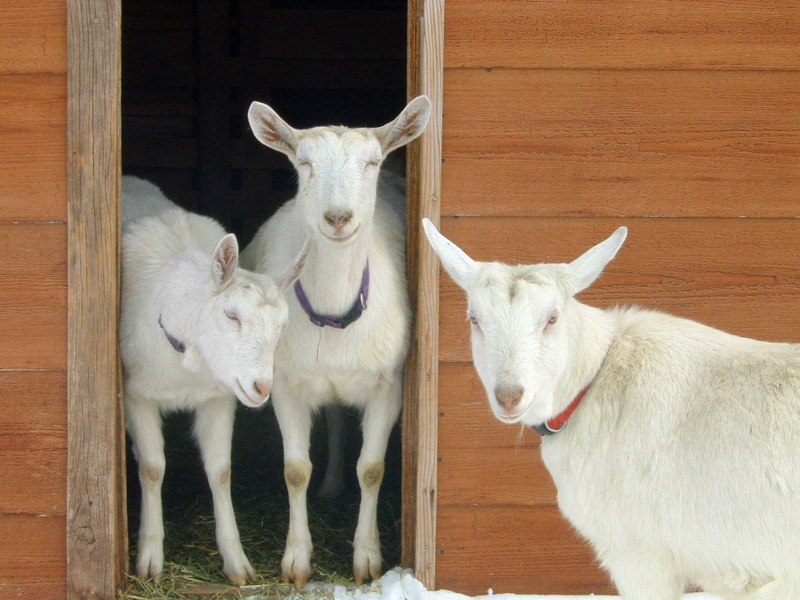 However, wintertime forces our goats and chickens to seek a more confined shelter, allowing us to accumulate their waste and make a compost heap. First, we muck our goat barns and chicken coop. This waste is composed of several tons of hay and straw that is used for bedding and as a medium to neutralize the animal's dung and urine. Next, we use our tractor to clear out the contents of the pigpens. 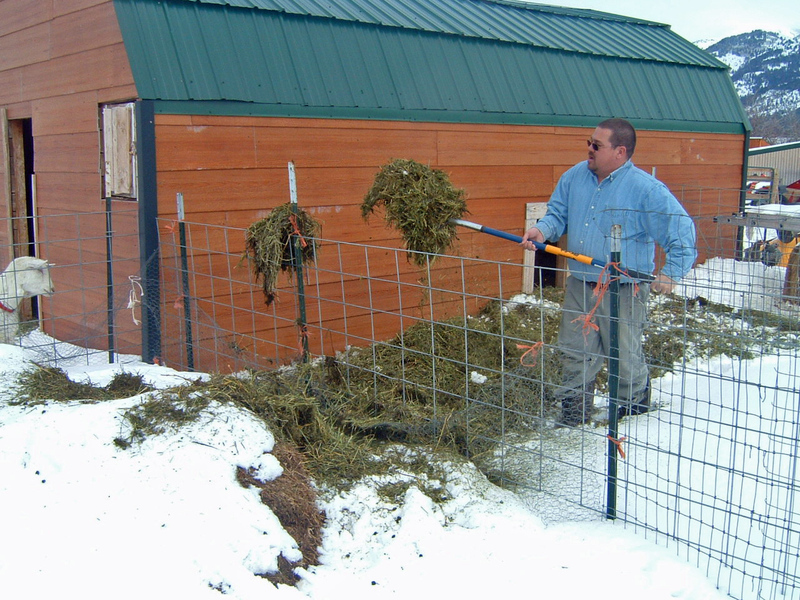 (All season long we feed our pigs a substantial amount of garden leftovers which gets mixed with old hay, straw, and their waste.) By combining the contents of our open-air pigpens and what is collected from our goats and chickens, we form a large compost heap. The heap is repeatedly turned with the help of a tractor. It is also moistened and allowed to age. In time nature will thoroughly break down all plant and animal residues, while simultaneously eliminating dangerous pathogens. The end result is a dark, crumbly, sweet-smelling heap of soil that is amazingly different from it's coarse beginnings. 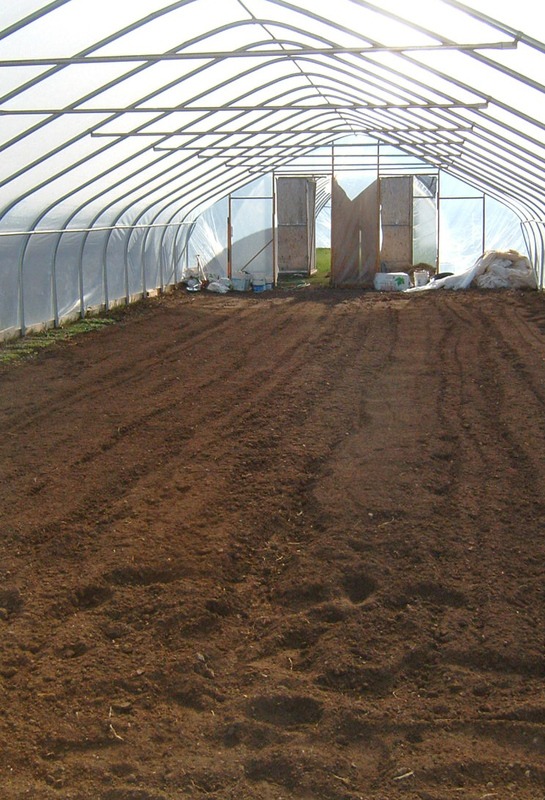 The finished compost is then spread in the greenhouses each fall and spring. 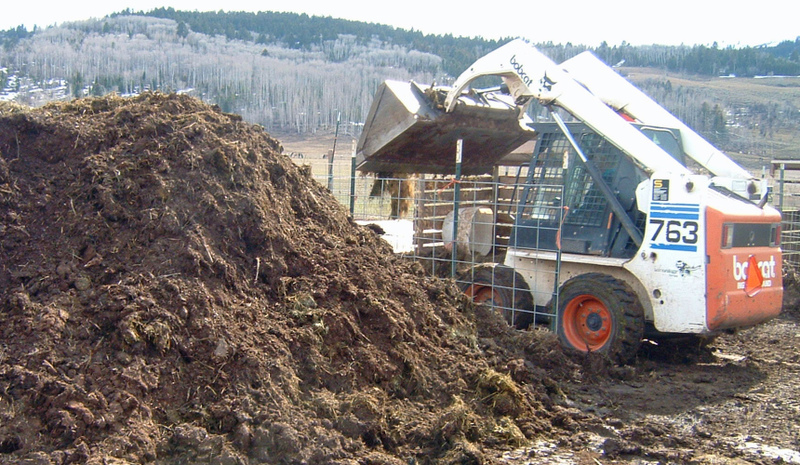 Since we cannot make enough compost, we also use tons of horse manure. Each spring and fall we haul in multiple dump truck loads of this natural fertilizer. With the use of our tractor and manure spreader we cover the fields with aged horse dung. 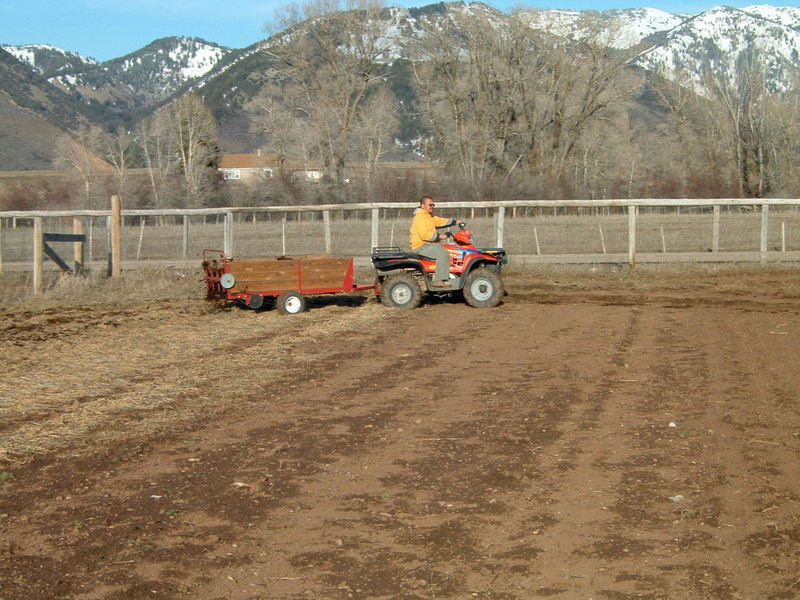 Immediately after spreading, I disc or harrow the fields to mix the manure with the soil. Obviously, many hidden dangers exist when purchasing inputs from external sources, so we are careful to ask questions before purchasing horse dung. This practice fills the void left by our existing capacity to make compost. Cover crops, also known as green manures, also build soil fertility. Market gardeners who do not keep animals or live in an area where quality stable manures are available rely on cover crops for soil fertility. The idea of cover cropping is to seed plant varieties capable of adding organic matter and nitrogen into the soil and rest it for a season from growing vegetable crops. 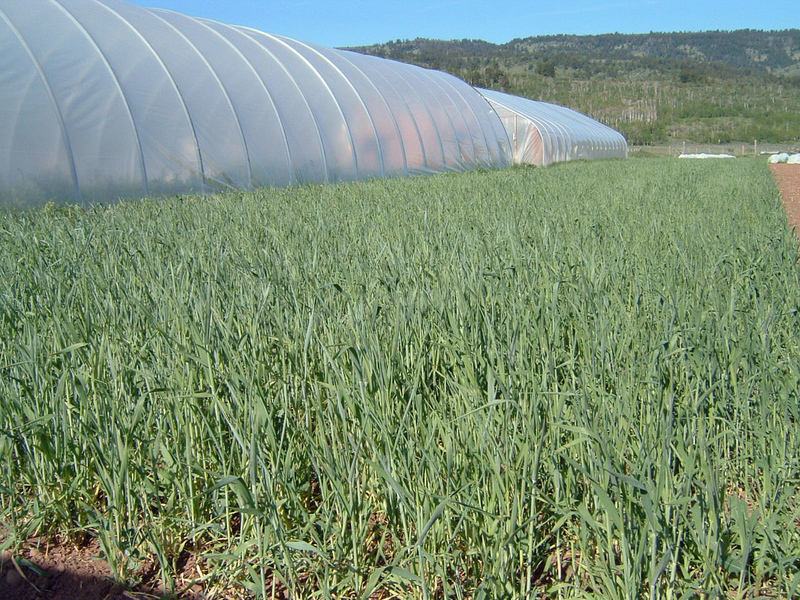 Typically grasses, like rye grass in colder regions like ours, are well suited to grow a substantial amount of organic material to feed back to the earth. Many grains and other plants are also good at adding organic mass. But, the organic matter provided by these plants alone is not enough. Legumes are also needed—clovers, vetches, field peas, and alfalfa. These special plants posses the ability to fix nitrogen in the soil with the help of natural and beneficial bacteria. After planting a cover crop, farmers typically mow it several times in a season to prevent the plant from seeding and becoming a weed itself. In the fall cover crops are plowed and left in the field over winter. The following spring these fields are cultivated again, rested to allow more decomposition, and then finally planted to a vegetable crop. To solely rely on cover crops for soil fertility requires approximately three times the amount of land planted for market crops. Since our farm is merely 7 acres, relying only on cover cropping to improve our soil fertility is not an option. However, anytime the opportunity presents itself I cover crop our land. For example, immediately after garlic is harvested I like to plant rye grass and vetch. Also, late in the fall just before our first serious snows, I seed some of our farm to cereal rye and field peas. These hardy plants actually germinate under the snow early in the spring and are visibly growing as soon as the snow is gone. Through the use of cover crops our farm attempts to mimic natural processes of soil building, not unlike those that built our nation’s rich prairie soils in the Midwest. Crop rotation is the agricultural practice of avoidance. I strive to avoid planting the same crop in the same location for multiple years. Different crops possess different root structures and require distinct nutritional needs. In general, the longer a farmer can rest the land from growing the same crop, the healthier the soil. For example, lettuce plants are mostly shallow rooted. If lettuce were planted in the same field for several years, it would soon deplete only the shallower soil levels of their nutrients. By planting a deeper-rooted crop in succession to a shallower rooted crop, carrots after lettuce for instance, nutrients are extracted from deeper levels not taxing the soil as much as when monoculture is practiced. This practice also helps reduce soil pests and diseases because pathogens that thrive with root crops don’t necessarily infest leaf crops. These are just two obvious benefits of this good agricultural practice. The ideal crop rotation includes a complete period of rest by planting a leguminous cover crop. Deep-rooted cover crops, like alfalfa or certain clovers, are extremely beneficial. By growing these crops for a year their roots are able to extract and then redeposit nutrients from deeper soil levels more near to the surface, making them once again available to shallow rooted crops. Crop rotation is a serious practice at EverGreen farm. I keep annual records of where crops were planted. This information allows me to plan and intentionally plant different crops in different areas of our farm from year to year. Each year my crop rotations become more refined. I believe we are seeing the benefits of this critical practice. Management Intensive Grazing is typically associated with an agriculturally pastured food operation, such as a pastured beef, poultry, or dairy farm. This practice consists of confining animals for a short period of time in a small section of a pasture and then moving them on a regular basis. Short intense periods of grazing are actually beneficial for the pasture and, therefore, the animal too. With a short intense grazing the pasture is not overgrazed and the animal does not over fertilize the ground. For detailed information on this practice read Joel Salatin’s Salad Bar Beef or You Can Farm. This year I plan to practice a modified form of Management Intensive Grazing in our market garden. This practice, I believe, will further increase our farm’s soil fertility. The vehicle for this addition to our soil fertility program is called a chicken tractor—a small moveable chicken coop and pen that I have specially designed to be applied to our spent salad green beds. After a salad bed has been harvested, a chicken tractor with its occupants will be moved down the row. Each day chickens will dine on the same gourmet greens you previously enjoyed. The chickens will also provide some extra labor by removing the old greens from the garden. Additionally, chickens will eat and help control some of the insects infesting the greens while simultaneously fertilizing the ground. These tractors will be moved once a day, which I believe will be just enough time to overgraze and kill the salad while leaving its roots and a small quantity of fertilizer in the ground. Obviously we get other benefits too, eggs and meat. I’m excited to try this! I believe chicken tractors promise to be a simple, low-cost, and high-benefit addition to our soil fertility program. Farmers increasingly study, refine, and apply no till farming. 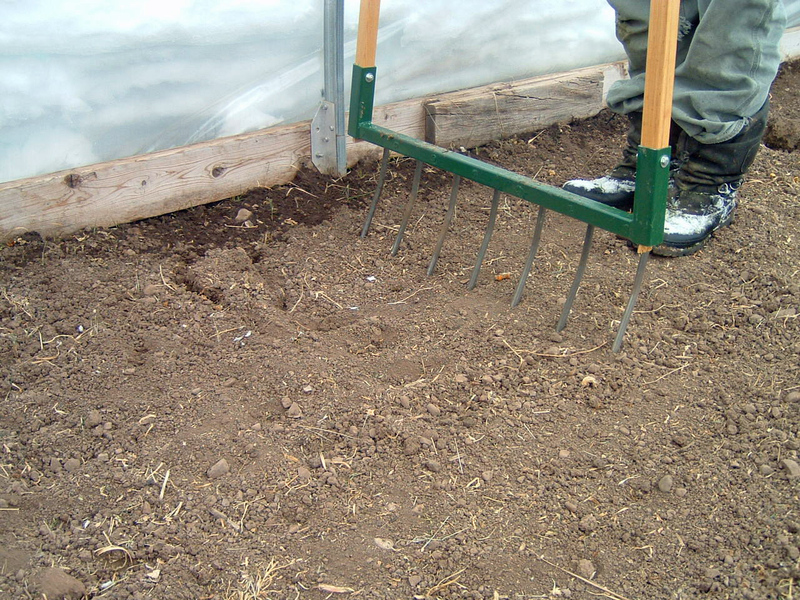 This practice consists of planting a cover crop, like a grain, harvesting it, allowing it to winter kill, leaving it, and ultimately planting a vegetable that will thrive in the mulch (planting potatoes after barley, for instance). The primary benefit derived from reduced tillage is an increase in beneficial soil organisms. Perhaps the most important organism to benefit from this practice is mycelium, a beneficial fungus whose fruit is the mushroom. Mycelium thrives in soils rich in both flora and fauna. This life-filled soil is typically absent in industrially farmed soils dependent on chemical fertilizers, fungicides, pesticides, and herbicides. Crop friendly fungi are present in healthy soils and take the form of a mycelial web, a filamentous web-like structure that sometimes extend for thousands of acres in undisturbed forests. Why is mycelium important? Because it connects with the root structure of plants to form a symbiotic partnership. When intertwined with plant roots, mycelium extends the crops roots system making more moisture and soil nutrients available to the crop. The mycelium benefits from the plants ability to photosynthesize sunlight and produce sugars. Many studies document double the plant growth in soils rich in mycelium compared to those devoid of it. Other plant positive organisms are more abundant in no till soils such as earthworms and bacteria that work with legumes to fix nitrogen from the atmosphere. I have been unable to fully employ no-till farming methods here at EverGreen Farm. However, I take every opportunity possible to reduce tillage. I have purchased and use old-world tools like the broadfork, which allow me to gently lift and aerate soil without turning it. Furthermore, I am planning crop rotations where fields are purposely not tilled having been planted with a mulching crop. This crop will be mowed and farmed with garlic, potatoes, and other plants that tolerate transplanting. Industrialized agriculture commits the sin of oversimplification. By assuming that nitrogen, phosphorous, and potassium (NPK) are all that plants require today’s industrial agriculturalist grossly oversimplifies plant, animal, and human nutritional needs. For instance depending on the “expert” you ask, humans need between 50 and 100 different nutrients. Because at EverGreen Farm we care for, maintain, and even improve our soil’s fertility, you can be assured that your produce is the healthiest available—this is true because it is infused with a broad spectrum of micronutrients. Practices leading to better soil fertility combined with no tolerance for industrial chemical applications grow the best food. This is not philosophy. Scientists and Journalists like Sir Albert Howard, Michael Pollen, Dr. Weston Price, and a dozen others have documented this. Eat our dirt! It will heal you. In Farms of Tomorrow Revisited by Trauger Groh, the author summarizes Rudolph Steiner’s writings on agriculture. His approach to agriculture is broadly characterized as biodynamic farming. I believe in many tenants of this method; therefore, it is useful for you, the consumer, to understand some of these ideas. I believe the most important idea presented in this work is that “Gardeners and farmers should remain in the realm of the living with all measures and applications.” In my opinion, this excludes most applications of minerals, synthetic fertilizers, pesticides, herbicides, fungicides, and mineral substances in animal feed. At EverGreen farm we follow this advice. Last of all Steiner recommends, “ For animal, especially ruminants, shrubs should be available as a forage (herbal plants of the families labieate, compoitae, and umbelliferae). Pigs can be kept free of supplements if they are allowed contact with living soil.” Currently we have a few shrubs that our goats and horses both graze, but improvements need to be made in this realm on our farm. We absolutely follow the advice given on the keeping of swine. Another of Rudolph Steiner’s observations was to supply the necessary amount of animal manure “necessary for healthy plant growth by keeping on the farm a sufficient number of animals in the right harmonious combination.” Later Groh states, “It is best to have a mixed population of animals. Most important, the farm should have chickens, pigs, horses, and goats. Cows are also a healthy addition but are secondary to the first set of animals mentioned.” At EverGreen farm we follow these principles. Each year we continue to better understand the benefits of keeping animals and then using the compost from their manures to feed the soil that in turn feeds them with rich grasses and leftover crops. Another principle presented by Steiner is that animals on your farm should be nurtured with feeds that are grown on your farm. He argues that animals, plants, and macrobiotic life forms in the soil adapt to each other raising the level of health for all through a symbiotic process. 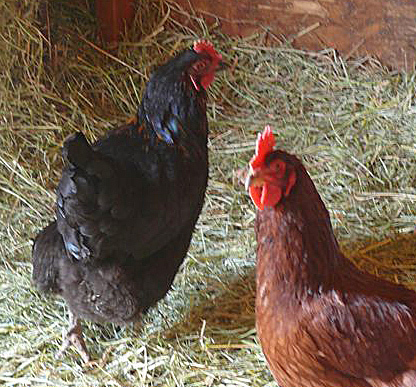 At EverGreen Farm chickens, goats, pigs, and horses are feed from pasture and left over vegetables not meeting our standards for sale. Although this only is possible for one-half the year, we feel it is a giant step in the right direction. Steiner believed in diversity, not the monoculture that dominates the American agricultural landscape of today. Modern industrialized agricultural practices require ever increasing amounts of chemical inputs to combat various infestations that arise when agriculturist plant only one crop. At EverGreen Farm we grow over thirty vegetable varieties. Whenever possible, we follow these crops with a fall or spring planting of rye grass and field peas. Not only do we advocate a multiplicity of crops, but we also rotate the plants we grow to combat the negative natural consequences caused by uniformity. Steiner pushed for farmers to “Recognize that the circulation of carbon, or organic substance, throughout the soil, plants, and the air is the basis of permanent fertility. 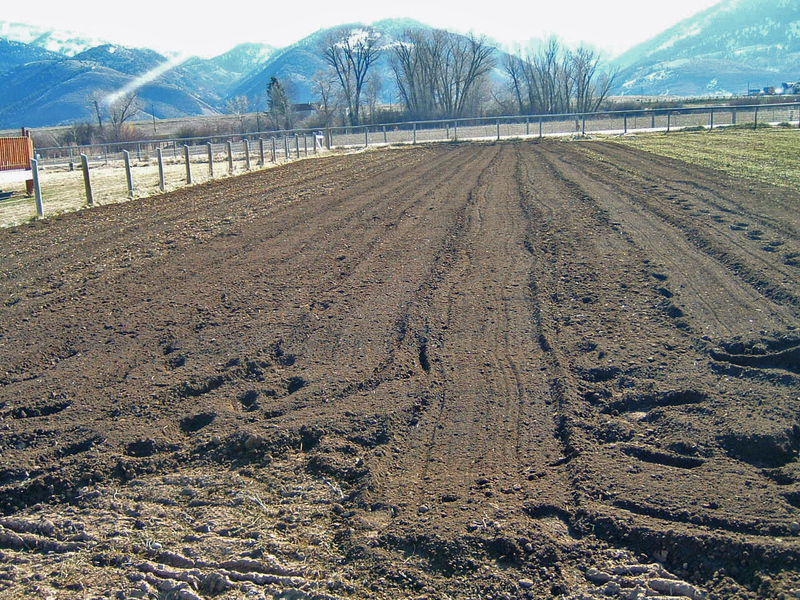 This circulation expresses itself in the creation and breakdown of humus substance in the soil.” To achieve this we apply both animal manures and plant based compost to our fields at EverGreen Farm. Another tenant of biodynamics argued was to “Strengthen silica circulation in the soil by encouraging microbiotic processes.” At our farm we achieve this by applying animal and plant manures, avoiding synthetic substances (especially petrochemical fertilizers) and tilling the ground as little as possible. “Create a harmonious balance in the soil, plants, animals, and the landscape. This should include a balance between field, pasture, and wetland.” I believe we have made significant improvement in the last few years in our balance of field and pasture. At this moment, regrettably, we have no wetland. In spite of our limited space, this is a concern and an issue we plan to address. “Restore the destroyed natural environment.” This is primarily achieved by encouraging natural hedgerows and wetlands. Steiner admonished us to cultivate variety of trees and shrubs in hedgerows that create windbreaks to control soil erosion and provide habitat for beneficial animals. Also, he advocated the creations of ponds to encourage the formation of dew and provide habitat for other beneficial animals and insects unique to wetlands. This is another weakness of our farm, and we hope to correct this imperfection too. “Implement biological weed and pest controls. Specifically, practice rotating crops, fields, pastures, and consequently animals.” We follow this practice religiously. “Reestablish a rhythmical natural order in animal husbandry and field care that is connected to the rhythms of the earth and its cosmic environment of the sun, moon, and other planets.” This is where biodynamics loses me. However, I have an open mind. If this principle can be proven beneficial to me in a logical and observable form, I will embrace it. Congratulations! I applaud each and every one of you for supporting EverGreen Farm. However, more has to be done for the organic/buy-local movement to reach its potential. I offer seven more suggestions that I believe will encourage more local food production. #1. Obtain as much of your daily food from local farmers as possible. 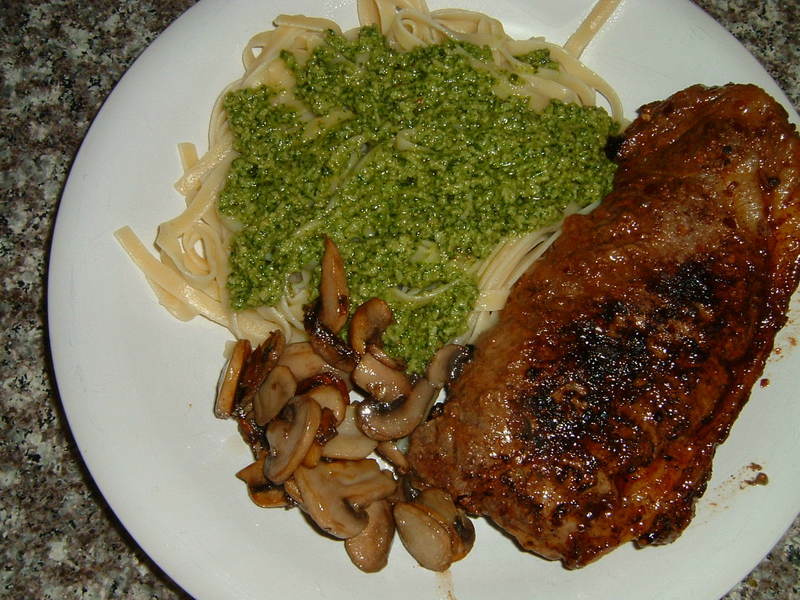 If you eat meat, seek a local organic rancher first. If a purist does not exist, I believe it is more beneficial to buy from a local rancher who is mostly “organic” than to buy factory farmed organic from the supermarket. #2. I have personally learned that support, praise, and encouragement are strong motivators that encourage food producers to change. This grows the movement. So whenever local farmers exist that are not “organic,” mention to them that if they would convert you would support them with even more of your purse. Would one of our local dairies convert to organic if one hundred locals signed and sent them a petition requesting they change some of their practices? #3. When you cannot purchase local or regional foods, buy organic. This, at least, reduces the toxic toll of industrialized agriculture on our planet. #4. Write your local and state representatives demanding legislation that strengthens small farms and local economies. #5. Demand a farm bill from local, state, and federal representatives that limits the power of factory farms. These mega-farms are mostly extensions of multi-national corporations. Petition your representatives for the elimination of undue influence from corporate lobbyist on food legislation. #6. 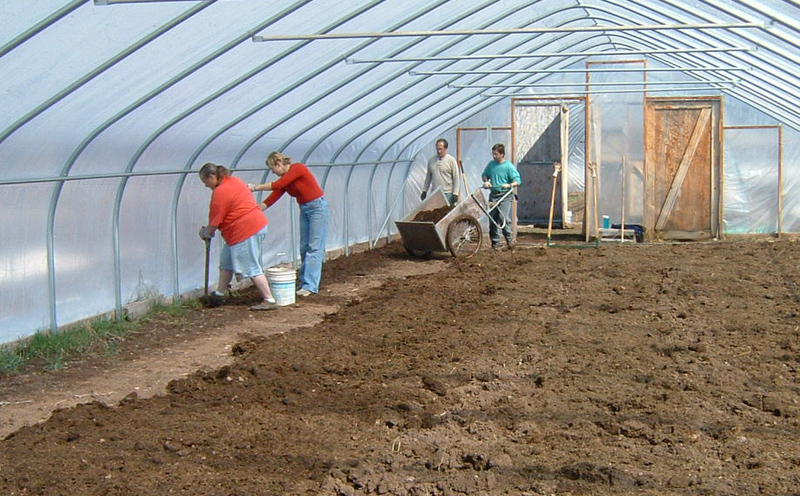 Demand a farm bill that encourages a transition from factory to small farms. This was the original mandate of the USDA before it was corrupted and taken over by multinational agricultural, pharmaceutical, electronic, chemical, and other industrial corporations (the biggest multinational players are Monsanto, ADM, Cargill, Tyson Foods, Kraft Foods, Wal-Mart, Physer, Dupont, and Digital-Angel Electronics). Watch the movie The Future of Food for detailed information on this topic. #7. Find and bookmark the following organizations on the Internet that are active in this cause: Cornucopia, The Farm and Ranch Freedom Alliance, Stop Animal Id.Org, The Organic Food Institute, Slow Foods, and Bioneers. Each of the listed organizations is an excellent resource in its own distinct food domain. Some don’t believe that people and the earth are in jeopardy. Many who do believe we are at risk cannot see beyond their chosen cause or focus; be it greenhouse gases, environmental pollution, animal rights, food safety, farmland preservation, religious interpretation, endangered species, hunger, war, pestilence, disease, corporate malfeasance, or moral degradation. In each and every case the fight has often been to treat the symptoms and not the cause. This seriously aggravates the problems. For example, biodeisel will not save us from global warming; it will hasten it as it speeds the poisoning and depletion of our soil resources. A centralized data base maintaining the whereabouts of every small farmer’s poultry and goats (with colored asterisks for locations of feedlots and pig factories) will not protect the food supply from pandemic diseases, bacterial infestation, or terrorist infiltration. It, instead, will increase the likelihood of these problems by providing dangerous exemptions for industrial producers and creating a readily available computerized road map of our food system frailties. Setting farmlands aside in park-like mode does not preserve them as farmlands. Instead it adds to the net loss. And yelling and screaming that the fighting must stop while refusing to see that our economy thrives on war profits is like facing a household fan into a high wind . . . the more farms we have, the greater the opportunity of success for each. The landscape will heal, the countryside will welcome the return of vibrant small farm communities, the economy will strengthen, the capacity to feed people will increase in quantity and health, the immune systems of an ever growing number of people will improve, governments will move offshore, the moral base will once again rise up from the truths of actual working, and the ranks of the hungry will shrink day by day. Lynn Miller, editor/publisher of The Small Farmers Journal, Winter 2007, Volume 31. Lynn Miller is a horse farmer, writer, publisher, small farmer activist, and painter. His tireless works have breathed life into the current organic small farm movement for more than thirty years. I cannot articulate better than Lynn Miller the reasons I farm and choose to support as many local food producers as possible. Many of our world’s problems can be solved with the simple acts of farming and supporting those brave enough to advance the cause. My personal evolution from a recovering suburbanite to a local food producer is neither complex nor peculiar. Two decades ago as part of my undergraduate honors coursework, I studied eastern philosophy under the guidance of Brahman Hindu priestess. As I consumed the writings and philosophy of Gandhi, I determined then to make the world a better place. He eloquently stated, “Be the change you want to see in the world.” After reading that declaration, I decided my calling would be to teach literature to our nation’s youth; in them I saw more hope than in my own generation. Furthermore, I am passionate about flyfishing, so I also supported Trout Unlimited to protect local ecosystems. Then, while buying some local organic produce, I met Ryan Foxley. A friendship germinated and a new journey began for me. The rest is history. 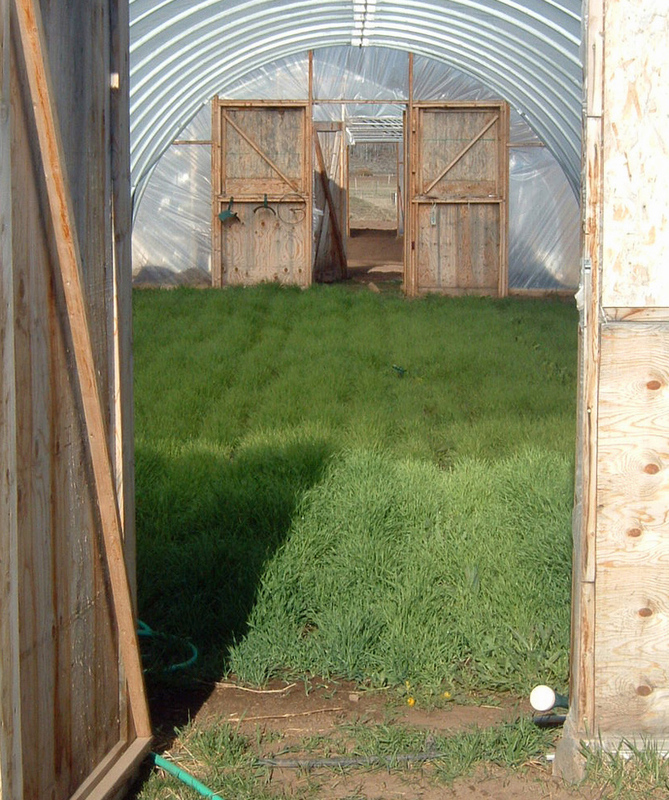 EverGreen farm was born, and small scale farming in Star Valley continues. We are excited to play a small but hopefully significant role in our local community. AS AN ALTERNATIVE TO USDA ORGANIC CERTIFICATION EVERGREEN FARM WILL PARTICIPATE IN THE NOFA (NORTH EAST ORGANIC FARMERS ASSOCIATION) FARMERS PLEDGE. sustain the land in healthy condition for future generations.